I’ve been away for a while now managing some personal stuff. In the meantime, I have been jotting down notes for Divergent Chill III, as well as an anime-inspired work that (ironically enough) functions as a prequel to a screenplay I wrote one summer during college. I’m trying to get back into things, but I know it will take time. There’s certainly a lot material bubbling inside me right now, but I just don’t feel the same spark to sit down and create worlds. Fake it until I make it seems like the only course of action. All of that aside, I have been productive in my non-writing career and with my hobbies. Something I got dragged into about a year ago was gardening. A good friend gave me a set of succulents and cacti as a birthday present and I ended up panicking about how to care for them. I purchased one of those cheap plastic greenhouses to keep them and didn’t consider that I had done the equivalent of leave them inside a car in the sun. I cooked virtually all of them except for some elephant grass and another succulent that miraculously survived. The one “Christmas cactus” I had lost the top part of its splice, the colorful bulb, but lived and grew quite a while before the recent frigid temps put it out of its misery. In an early effort to save these plants, I dug up a 4′ by 4′ square in my backyard, lined it with bricks, and filled it with potting soil. This became my first garden and I hoped to save the plants by transplanting them to it. I didn’t have much success, but the same friend that gave me the plants originally happened to be fond of stargazer lilies and as fate would have it the local Wal-Mart suddenly decided to stock a wide variety of lily bulbs. Stargazer Lily – The prettiest and best smelling of all lilies. 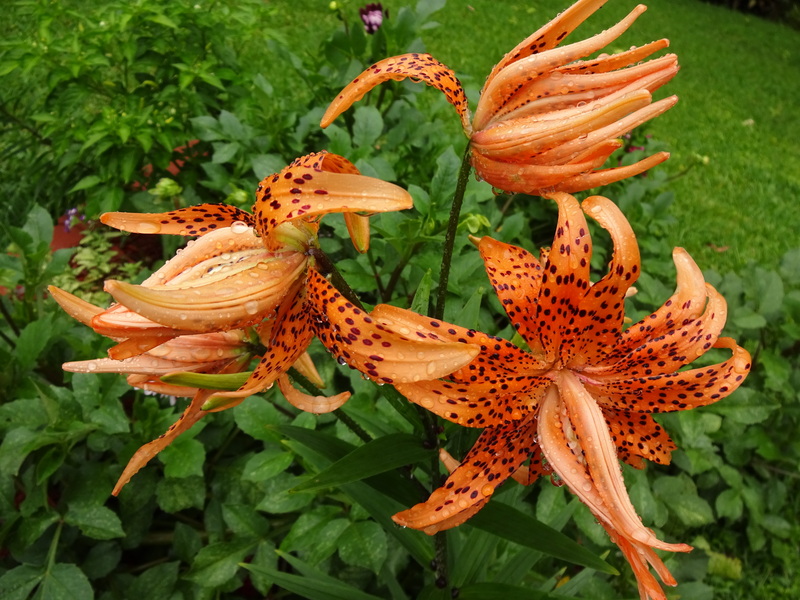 A few Tiger Lilies from late spring 2017. That’s how I got hooked. A couple packs of stargazer and tiger lilies have become a mild obsession. 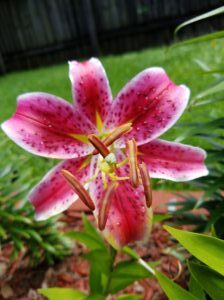 Yes, I did plant other things like cayenne pepper, bell peppers, and other flowers, but the lilies were my thing. I doubled the size of my original garden to fit more bulbs and once I improved my garden design method, I set up a circular one in my front yard just for flowers, lilies in particular. Last spring saw some blooms but not everything did bloom due to late planting and others had their growth stunted by larger, more aggressive plants (goddamn vincas) stealing sunshine. I expect this spring and summer to be much more fruitful as I had to uproot many of those plants after they died to frost. I’ll include some pics below. I planted roughly 25 new bulbs this season in the front flower garden. 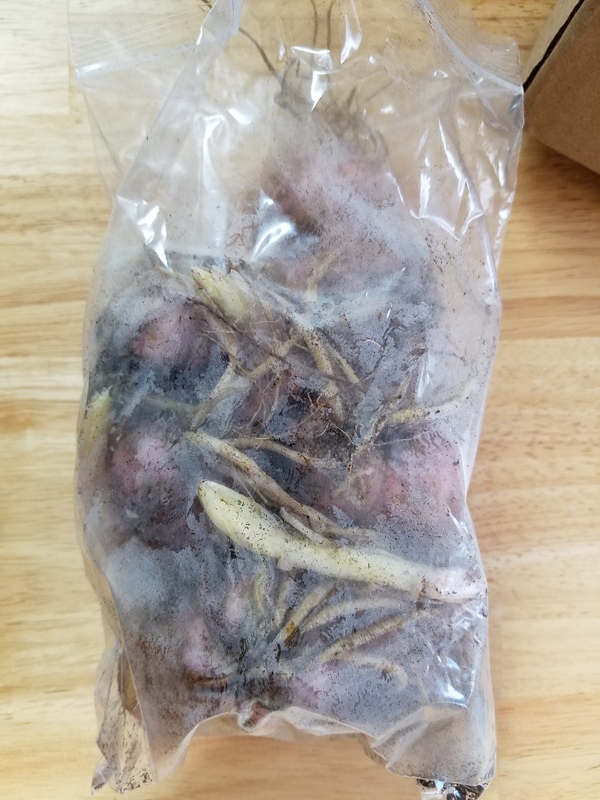 I had to order some of these bulbs from Amazon and they arrived all the way from China, surprisingly. 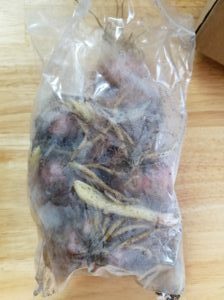 They were quite well wrapped and packaged and have already started sprouting after just a couple of weeks. 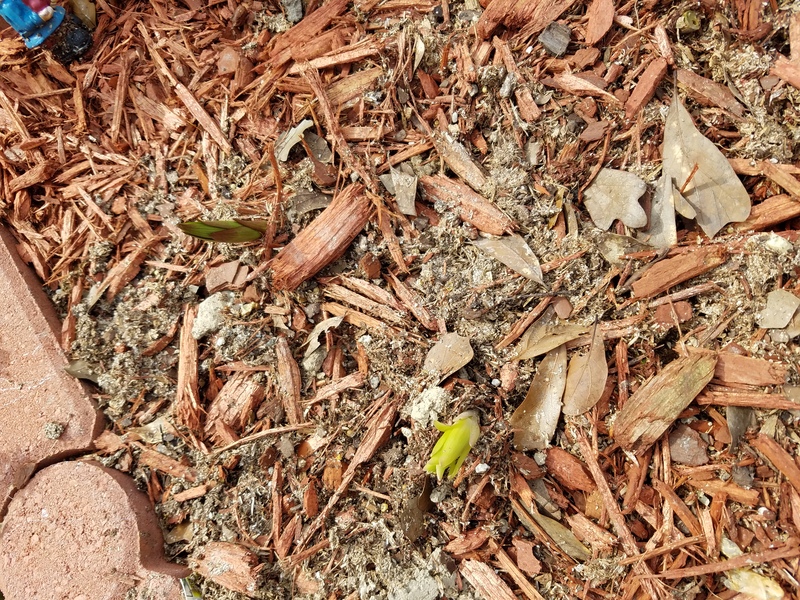 A package of Stargazer Lily bulbs that arrived from China and seem to be off to a growing start. 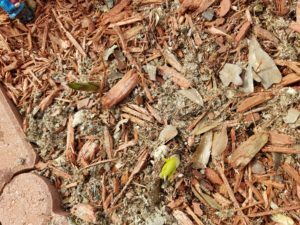 Muscadet and Stargazer Lily bulbs delivered from China sprouting from the soil in a couple of weeks. Continue reading to see a few more pics!